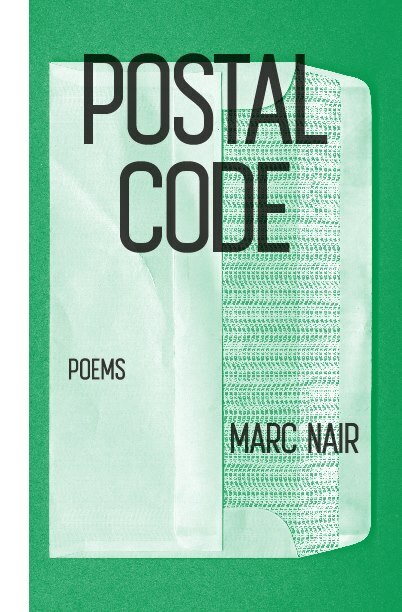 Marc Nair has been writing poetry for more than ten years. He has published three collections of poems: Along The Yellow Line (2007), Chai: Travel Poems (2010) and Postal Code (2013). He has also set numerous poems to music with his band, Neon and Wonder, and gigs at various places around Singapore. 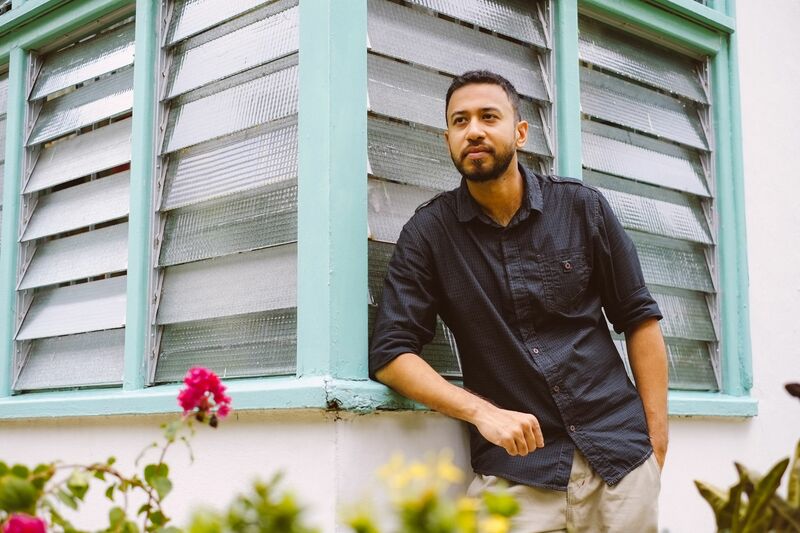 Marc is also active in Singapore’s poetry slam scene, and slams regularly at Blu Jaz Cafe. He represented Singapore at the World Event of Young Artists in Nottingham in 2012. Marc is currently a project manager with Word Forward and does portrait and wedding photography as well. Kitaab presents an interview with this remarkable young poet of Singapore. How did you find your way to poetry? I’ve always loved reading from a young age. Books were my closest friends. I suppose writing was simply a way out for all those words stored up in my head. 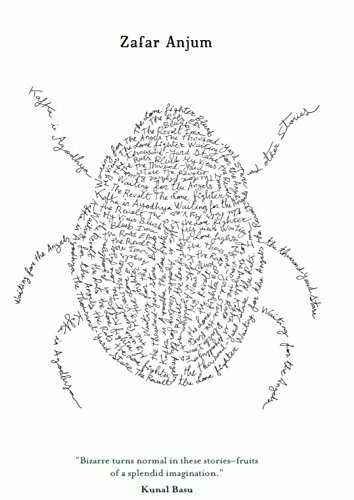 I first started writing in rhyme, maybe as a throwback to all those nursery rhymes my mother read to me as a child. But poetry has always been my first love, amongst all forms of writing. There is a strong sense of place and politics in your poetry. Do you agree and would you call them the main themes of your work? I think the sense of place is definitely a recurrent theme in my poems. The politics of place, whether political, socio-economic or simply observational, is incidental and is very much connoted with the context of the poem. Place intrigues me because there is something both elemental and extrinsic in a place, for example, Borobudur, and so much too of what we invoke or inscribe onto a place by our own experiences. Is it necessary for a poet to have his own philosophy? 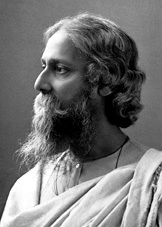 If you look at the great Eastern poets such as Rabindranath Tagore (Bengali/English) and Allama Iqbal (Urdu), they had their own philosophies. Are you aware of any such spiritual core in your life and work? Tell us about the three collections of poems that you have brought out so far, ‘Postal Code’ being the latest. How were they conceived, and what unites them? Along The Yellow Line (2007) was a collection very much about my own experience of identity both as a poet and as a Singaporean. There are instances of social critique, for example a series of senryu set to favourite local acronyms. There are a few travel poems too, which prefigures my next book, Chai: Travel Poems (2010), which is a full-blown collection of poems written from backpacking trips to Indonesia, Vietnam, Philippines and India. This book has a lot more narrative poetry, where the speaker becomes an observer, a tourist who considers the history and social circumstance in written snapshots. My latest book, Postal Code (2013), continues the theme of place, and while I do have ‘travel’ poems, they are mixed in with poems about Singapore. The book is arranged into five sections; poems about Singapore, faith, love, loss and endings. These themes help to create a sense of a larger narrative, and coalesces with the title, which is also about longing for a place that goes beyond the typical recourse to home, and reflects on finding a sense of belonging wherever one is. What does it mean to be a Singaporean poet? Does it place any special burden on your shoulders? Sometimes, I feel there is some kind of unspoken demand placed upon Singaporean writers to consciously evoke scenes and themes of Singapore in their work. Some writers react by ignoring the country entirely, or by framing it in mythological or dystopian terms. For me, my poems about this country do consider certain contentious issues or events, but I think these are iconic instances that we should remember, because they are the touchpoints that signify what our country is becoming, for better or worse. In poetry, who have been your influences, especially among Singaporean poets? I enjoy reading the poems of Boey Kim Cheng and Ng Yi-Sheng. Particular collections by Alfian Sa’at and Alvin Pang are very good. But my favourite local poet by far is Arthur Yap. Are you satisfied with the poetry scene in Singapore? What more can be done to enliven the culture of poetry here? I think we do have a small but dedicated base of poets, audience and spaces where poetry readings and performances take place on a regular basis. What I would like to see is a better treatment of literature and poetry in schools, because that is where most children either fall in love or are turned off by poetry. Also, I hope to see more places for performing poetry, and literature open up in the heartlands, along with sustainable support from the government or independent organisations. This would certainly help to expand the audience base for poetry. I’m finishing up a book of illustrated poems called Animal City. It’s aimed at older children, and everyone else. I’m also planning to start work on an interlocking collection of short stories. 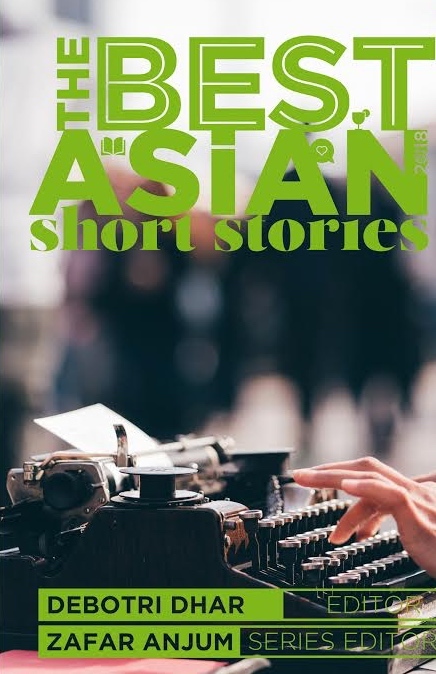 Posted in Authors, Book, Features, Poetry and tagged Along the Yellow Line, Chai, Marc Nair, poetry, Postal Code, Singapore. Bookmark the permalink.